We're now less than two months away from the release of Rogue One: A Star Wars Story and the marketing is now focusing in more on the nuance of the characters. 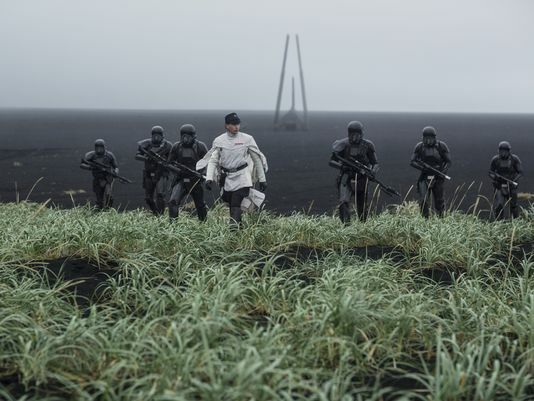 Director Gareth Edwards spoke with USA Today recently about the character of Director Orson Krennic, played by Ben Mendelsohn, offering insight into the character's backstory and how he differs from other Imperial officers before. One of the subtler differences between Krennic and previous Imperials is his accent. Where characters like Tarkin had more of a posh accent, Krennic has more of a working class accent. This came out of a discussion Edwards had with Mendelsohn, when the actor asked if he should have a posh accent. Edwards explained that he felt Krennic, as head of the advanced weapons research wing of the Imperial military should be more of an outsider. This is some really fascinating insight from Edwards. A question fans have asked ever since Krennic was revealed is what is his relationship with Grand Moff Tarkin, who is in charge of the Death Star in A New Hope. Although it's not been confirmed, many fans believe they've spotted Tarkin in both the Star Wars Celebration behind the scenes sizzle reel and the most recent trailer (and it has long been rumored he'd make an appearance), it would be fascinating to see a scene between the two high ranking Imperials.